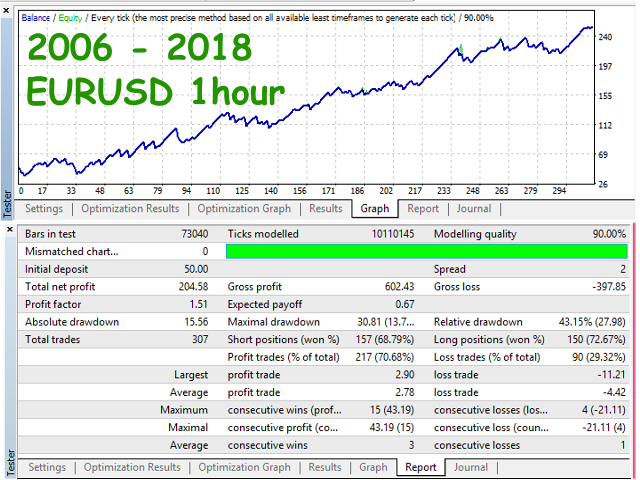 This is a fully automated expert advisor that scalp when there is relatively large price movement in market. Bollinger Band and William Percentage Range Indicator are used as filter the trading signals. Stop loss and profit target are always set for every trade. Closing of unfavourable trades is handled by MACD indicator. This is a free version of Robust Scalper. Unlike full version, it does not trade on every Tuesday and Wednesday. $50 - $100 minimum deposit on 4 digits quote account. $500 - $1000 minimum deposit on 5 digits quote account. Four (4) and Five (5) digit brokers. MaximumTolerantSpread - maximum value of spread for opening any trade. NOTE THAT THE EA DOES NOT AUTO DETECT IT FOR 5 DIGIT QOUTE. YOU SET YOUR MAXIMUM VALUE. i check it on demo account looking good so far.